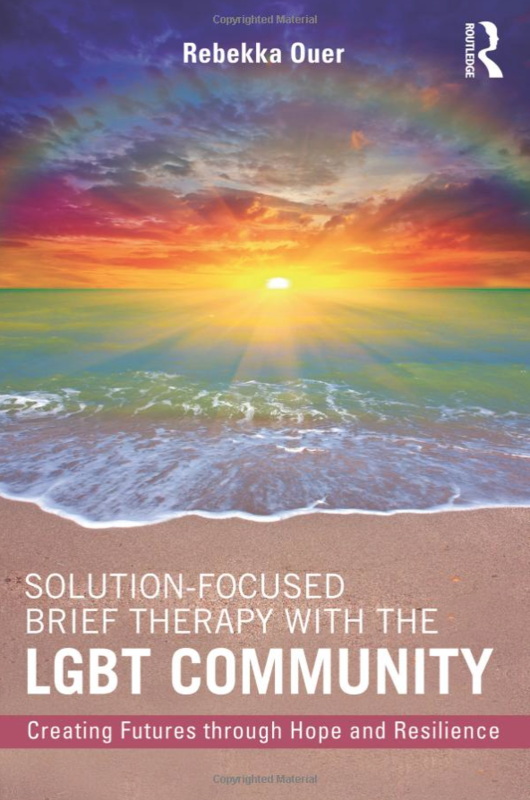 Every page of Rebekka Ouer’s ground-breaking book resonates with her enthusiasm for Solution-Focused Therapy and her absolute conviction in its unique appropriateness as an approach for working with the LGBT community. Rebekka helps us to appreciate that Solution-Focused Therapy is more than just a set of techniques, that it embodies an attitude to people which builds hopefulness and brings to the fore LGBT clients’ often unrecognized resilience in dealing with the challenges that they can face.―Evan George, MA, MSc, co-director of BRIEF in London, UK, and co-author of Solution Focused Brief Therapy: 100 Key Points and Techniques and Brief Coaching: a solution focused approach. In this terrific, well- written and highly informative book, Ouer presents therapists everywhere with the tools to work knowledgeably and respectfully with LGBT clients. From her initial self-disclosure to descriptions verifying the needs of the LGBT community, Ouer provides us with new insight for helping LGBT clients using a solution-focused approach. Her consistent reminder throughout the book of her clients’ resiliency and amazing courage will warm the hearts of therapists and catapult them into sessions with LGBT clients with confidence.―Linda Metcalf, PhD, director of the graduate counseling department at Texas Wesleyan University and author of The Miracle Question: Answer it and Change Your Life. Clinicians at all levels of experience will benefit from reading this eminently useful, well-written book! Ouer addresses subtle nuances of the evidence-based SFBT approach in a manner that beautifully exemplifies the respectful, compassionate, strongly supportive therapeutic stance that is the hallmark of the SF approach at its best. We owe it to our profession to engender awareness and competence in working with the LGBT community, and this book is a wonderful resource!―Yvonne Dolan, co-author of Tales of Solution (with Insoo Kim Berg) and co-author of More Than Miracles (with Steve de Shazer).